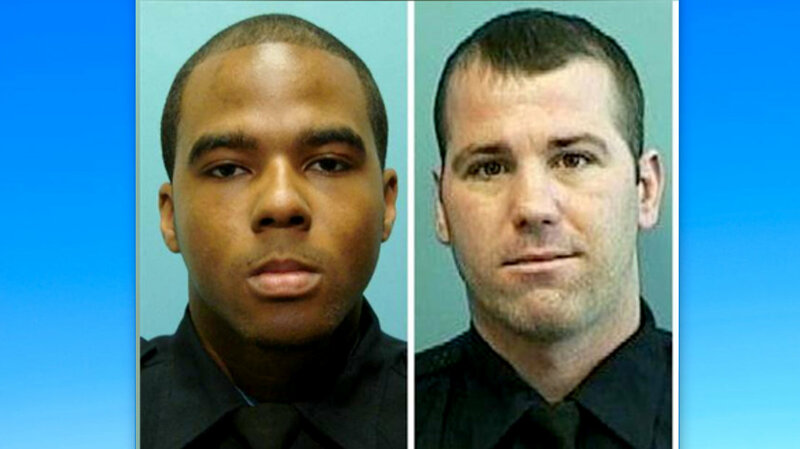 Above: Former detectives Marcus Taylor and Daniel Hersl were found guilty in the Gun Trace Task Force case. While Mayor Catherine Pugh was in City Hall yesterday telling reporters that she hasn’t had time to follow the federal Gun Trace Task Force (GTTF) trial, observers a few blocks away packed a courtroom to hear closing arguments in the case that alleges rampant corruption in the Baltimore Police Department. “One of the most startling police corruption scandals in a generation,” the New York Times had just declared it – a mainstream media validation for black residents who have been decrying police misconduct in Baltimore for decades. 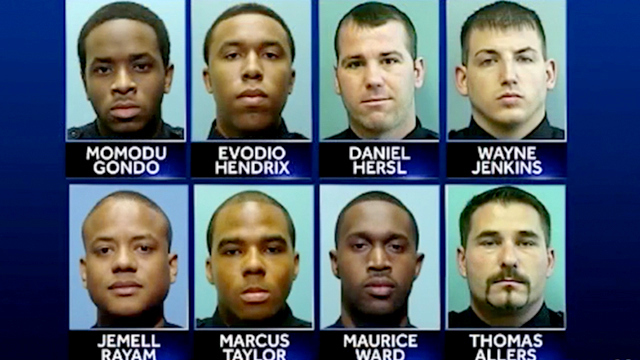 Over eight days of testimony in the case of two of the GTTF members – Detectives Daniel Hersl and Marcus Taylor, who both face racketeering conspiracy, firearms and robbery charges – witnesses described craven and brutal behavior not just by those officers, but by a dozen others who remain employed by the department. Gondo said Deputy Commissioner Dean Palmere came to the scene and coached Rayam and other officers on how to cover it up – an explosive charge that Palmere, who announced his retirement the same day, has denied. Every day brought new witness accounts of police behavior that made the scathing 2016 Justice Department report on the BPD seem almost tame by comparison. • Task Force members would roll up fast on groups of African-American men, popping their car doors open to see who would run, so they could chase, detain and search them. • Officers would pull over “dope boy cars” on trumped up seat-belt or window-tint violations, carried toy guns to plant on people, jailed innocent people, entered homes without warrants, armed, while wearing their police vests and badges. • During these home invasions, Task Force members (and sometimes civilians posing as police) robbed people of cash, drugs, expensive watches, whatever they could find. “This was not a case about aggressive policing,” assistant U.S. attorney Derek Hines said, addressing the jury yesterday. The attorney for Hersl, meanwhile, acknowledged that the 17-year veteran did take money in two instances. While the detective was guilty of theft, Purpura said, he did not participate in violence and wasn’t guilty of any federal crime. Task Force member Jemell Rayam, in the most horrific account, “murdered” a man, shooting him point-blank, his partner Momodu Gondo testified. Whether the the prosecution succeeds remains to be seen as the case resumes today with Taylor’s defense, to be followed by jury deliberations. After the judge’s highly technical 90 minutes of instructions to the jury, prosecutor Hines made his case via a long and fact-heavy Power Point presentation. Describing the instances where the officers took as much as $200,000 from people, Hines strove to defend the victims, all of whom were black and many of whom had previous convictions for selling drugs. He said the officers believed no one would listen to drug dealers. The officers acted brazenly in the belief that no one would listen to drug dealers. He recalled the July 2016 incident in which Rayam dragged Ronald Hamilton out of the car and robbed him of $3,400 while Hamilton was shopping for blinds with his wife. The officers went on to handcuff the couple and eventually take $100,000 from them. Defense attorney Purpura, addressing a jury that included seven white women, suggested that it did. “The truth is, he was a drug dealer,” Purpura said with a shrug, acknowledging the defense may have gone “a little too hard” in its questioning, but reminding the jury of Hamilton’s $1.2 million in gambling losses. Casting doubt on the victims, Purpura also sought to humanize Hersl, pointing frequently to his client who wore a dark suit and sat at a table facing jurors. Pupura tried to poke holes in the prosecution case, pointing out that Hersl didn’t join the GTTF until mid-2016, six months before the conspiracy ended. He noted that despite the federal surveillance, there was no damning phone call or recording of Hersl. But he relied most heavily on impugning the credibility of the prosecution witnesses. “Once a snake, always a snake,” he said of Middle River bail bondsman Donald Stepp, who testified last week. “What do all these witnesses have in common?” Purpura asked in one of his few high-tech flourishes yesterday. Flashing on an overhead screen was a “Get Out of Jail Free” card.